This inflamed joint lining leads to a breakdown of cartilage and bone sometimes causes joint deformities. RA affects approximately 1.5 million people in the United States according to the Arthritis Foundation. Women are three times more likely to develop the disease than men. Onset typically occurs between thirty and sixty years old for women and later in life for men. Symptoms include joint pain, tenderness, redness, swelling or stiffness for an extended period of time. They also include morning stiffness that does not go away upon waking. Joints are affected bilaterally, meaning symptoms occur on both sides of the body. This disease affects more than just the joints. It also affects the skin, eyes, lungs,heart, blood and nervous system. It is hard to forget about RA when pain, inflammation and stiffness are present from the moment you wake up. A common piece of advice from people with RA is slow down, learn to take rests and adjust. Be flexible and be willing to make accommodations throughout the day. Living with RA requires compromise at times and reframing challenges to remove barriers to everyday life. The following is a list of home and life hacks for living with RA. Keep scissors around the house to help open small packages requiring tearing or grasping with your fingers. Also, carry a pair of travel scissors to open condiment packs when dining out. Carry grocery bags on your forearms not with your hands. Your forearms are stronger and this eliminates strain on your hands. Use rubber grips to open jars or keep rubber bands around bottles and containers requiring a strong grip to open. Make zippers friendlier by affixing a sturdy piece of string or a key ring to provide a larger gripping surface. Soak dishes and cookware in automatic dishwashing detergent in the sink for at least one hour prior to washing. This dissolves food particles and grease eliminating heavy scrubbing and standing at the sink for long periods of time. Avoid using a heavy vacuum. Many lightweight and powerful options are available today. A lighter model reduces the amount of exertion required for this task. Look for large padded handles when buying cooking utensils. Consider large padded handles when buying hair and tooth brushes. Buy beauty products with larger caps that are easier to open. Buying in bulk is okay, but save smaller containers and bottles to use these products on a daily basis. This prevents the need to lift, handle and pour from large bottles. Opt for a low maintenance hairstyle to avoid the need for smaller hair accessories. Lay out clothing with snaps and buttons the night before. Undo the clasps in the evening when hands are flexible and cooperative. Use adaptive equipment when dressing. Sock aids, button hooks and elastic shoelaces all make dressing easier. If need be, consider changing jobs or positions within your company to a less physically demanding profession. Ask for a staggered start time to accommodate morning stiffness. Perhaps working from home would be an option that allows for a more comfortable setting. 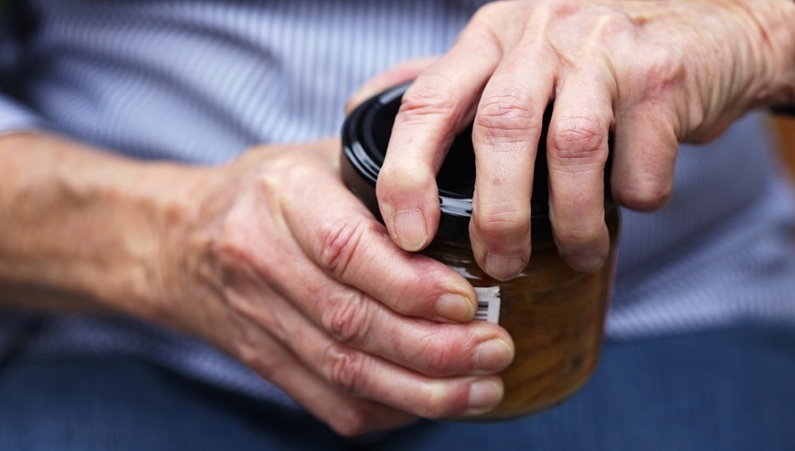 The pain and frustration caused by Rheumatoid Arthritis can be debilitating. Do not allow this disease to take control or stop you from living a full, productive and happy life. Try some of these life hacks to making living with RA easier. If RA or another complication is impacting your ability to maintain your current lifestyle, there are options available to alleviate your stress while maintaining your independence. The professionals at Kupuna Consulting, Certified Senior Advisors, can provide more information on identifying an arrangement that best works for you. To connect with Kupuna, call 732-655-4770 or click here.